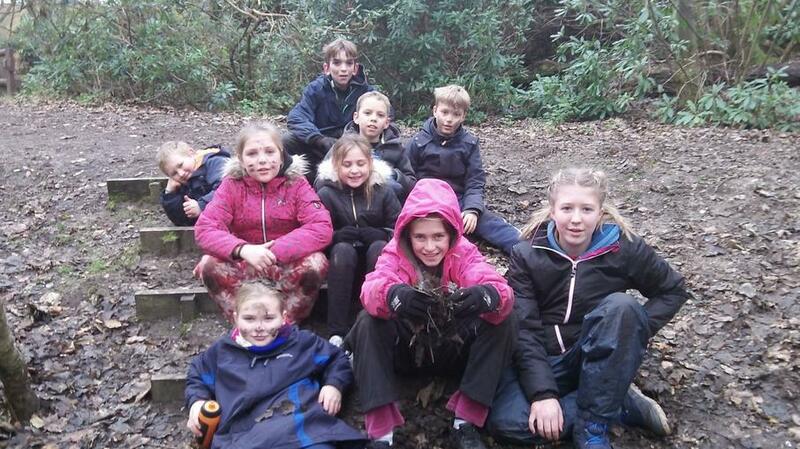 Hilltop 2018 - What did they get up to? Wow! What a great start to our Hilltop adventure. We’ve had an action-packed day under crisp, blue skies. Everyone has challenged themselves and has grown at least 2 cm taller with pride. Bethany: I think it’s great that the Hilltop staff encourage us to challenge ourselves but we are never forced to do something. Matteo: The Hilltop moto, Challenge by choice, gave me the determination to complete the vertical challenge. 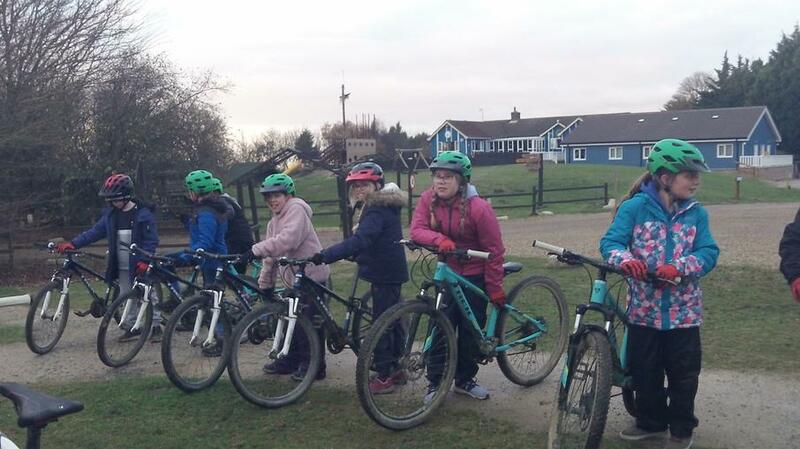 Philippa: Today, I felt that I have completed some things that I would not normally have done for example mountain biking because I didn’t think it was my thing, but actually it’s really fun. Riley: The instructors encouraged me to reach my goal without feeling pressured. Amandine: Today we did the zip line and I found that if you really didn’t want to do it they would take a step-by-step approach to help you reach your goal, which was great for me. 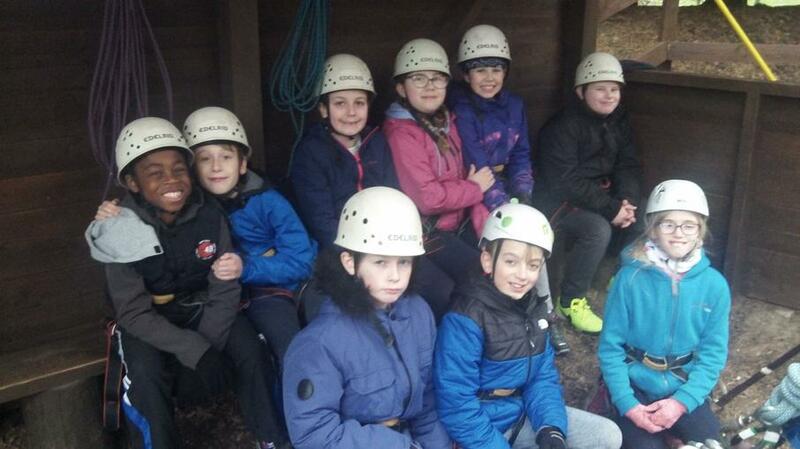 Owen: When the instructors encouraged and helped me, I think I really developed my climbing and archery skills. Charlotte: They pushed me outside of my comfort zone, which helped me to challenge myself. Luca: For my second activity, the zip line, I felt horrified. Glimpsing below me, I was scared but when I let go it was fun gliding down the wire. 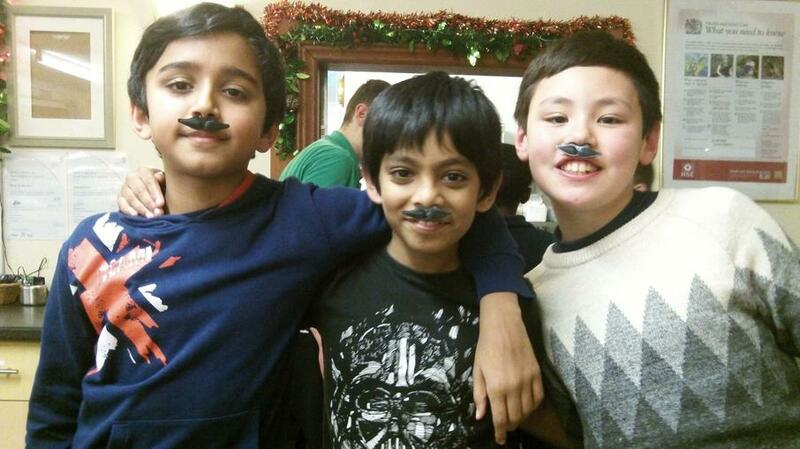 Ashvika: I enjoyed the climbing as when you found it difficult the instructors gave you verbal support. Sam: I think it’s amazing how the instructors explain the challenges and we encouraged each other to achieve them. Flo: I appreciated how the people in my group were guiding each other and telling us where to put our feet on the climbing wall. Orlando: I felt amazingly safe under the guidance of the instructors. Daisy CW: Even though I wasn’t skilled at archery and my friends were, the instructor encouraged me to carry on. Thomas: It was interesting how the instructors encouraged and helped you to go even higher when you were climbing. Ciara: Even though I didn’t accomplish my goals on my first try, the instructors and my team mates encouraged me so I could achieve them on my second go. Louis: The whole experience has been exquisite and the second I saw the depth of the zip line, I let the instructor clip me on so I could glide through the misty forest. 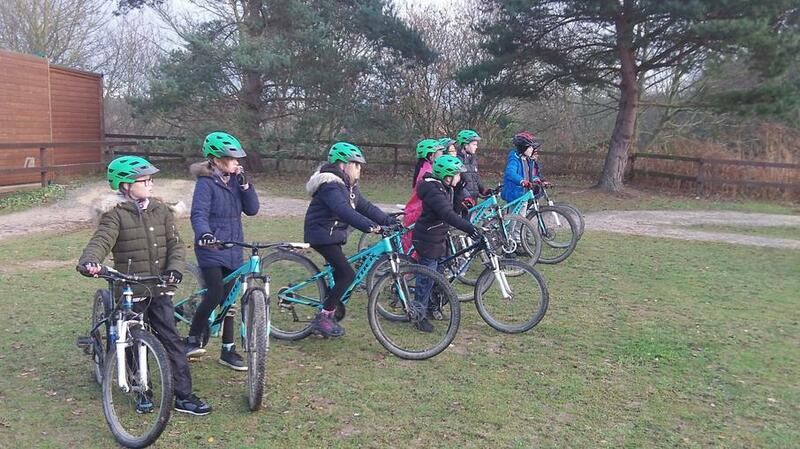 Jessica: Today I enjoyed mountain biking because I did stuff I wouldn’t normally do. 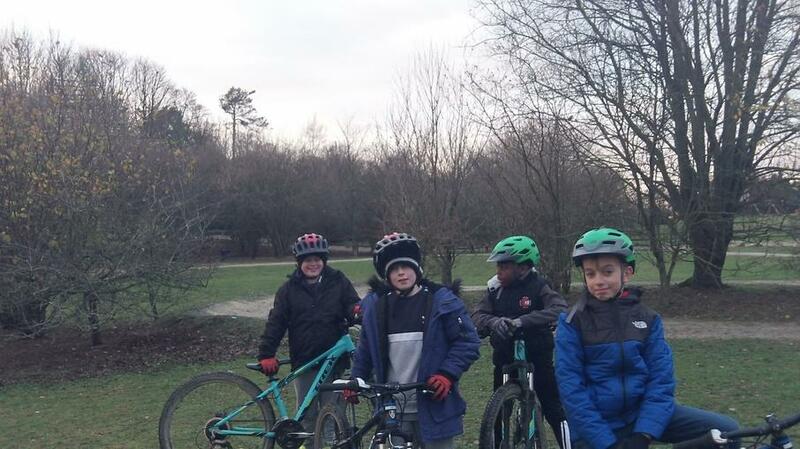 Tommy: I thought it was fantastic how on the mountain biking, when I got tired the instructors and my friends helped me carry on. Emily A: When I went on the zip line, I enjoyed it but at the beginning I was nervous. The instructor helped me to keep calm and my friends cheered me on. Josh: I was grateful how my team mates encouraged me to accomplish challenges that I didn’t think I was capable of. Daisy W: I figured out that if you trusted the people who held the ropes, it gave you the courage to go even higher. Lucy: When me and Gracie were at the top of the zip wire, one of our friends was scared to go down. We felt proud that our encouragement helped her to achieve her goal. 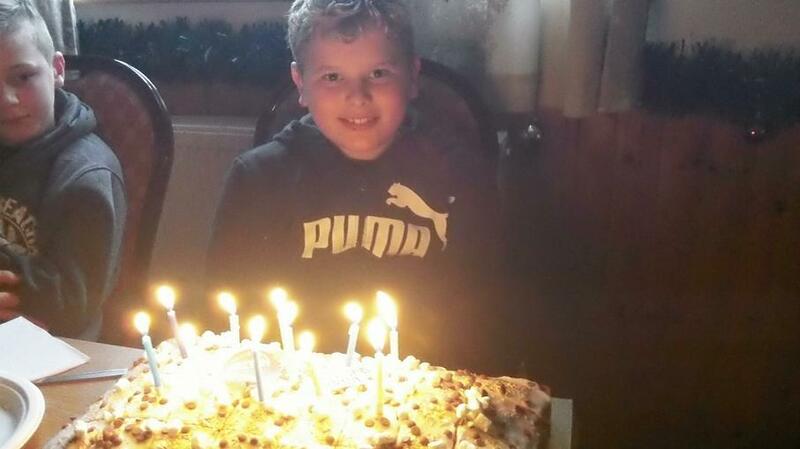 Adam: I very much enjoyed how our coaches helped me get to the top of the vertical challenge. This helped me to motivate my peers. Summer: Today I discovered when people push you out of your comfort zone, you can achieve amazing things. Josiah: My team gave me outstanding verbal support while I was doing the vertical challenge. Niven: I was scared when I saw the depth of the zip wire but when I jumped off, I overcame my fears. Bella: My team mates guided me through the activities so that I could accomplish my goals. Hayden: I learnt to trust people that I don’t know very well. Paige: Although I didn’t reach my initial goals, with the guidance of the instructors I was impressed with what I did manage to achieve. Gerald: After the vertical challenge, I felt braver and stronger. I could never have got to that level without the encouragement of my friends. Arya: Before I went to Hilltop my fear of heights was very high but when I got to the vertical challenge, with everyone’s help and guidance I learnt to overcome my fears. Keren: I’m proud of myself because I didn’t know I could accomplish what I did today. Nieve: I challenged myself to the limit. Even though I struggled, my team mates helped me to persevere. Chloe: I enjoyed that people supported me when I struggled and I was proud that I reached further than I thought I could. 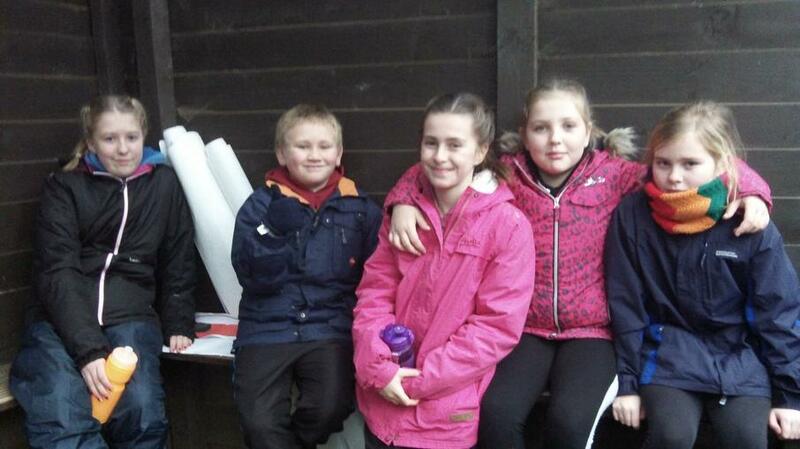 We’ve had another action-packed day with morning, afternoon and evening activities. Many targets were surpassed following the Hilltop moto, which is Challenge by Choice. When we opened the tuck shop this evening, we practised our mental maths skills and have honed our shape and space as we’ve packed everything back in our bags. Read on to find out more of our highlights. Micah: I don’t normally do climbing but with the encouragement and help of my team mates I worked through the vertical challenge and reached the top. 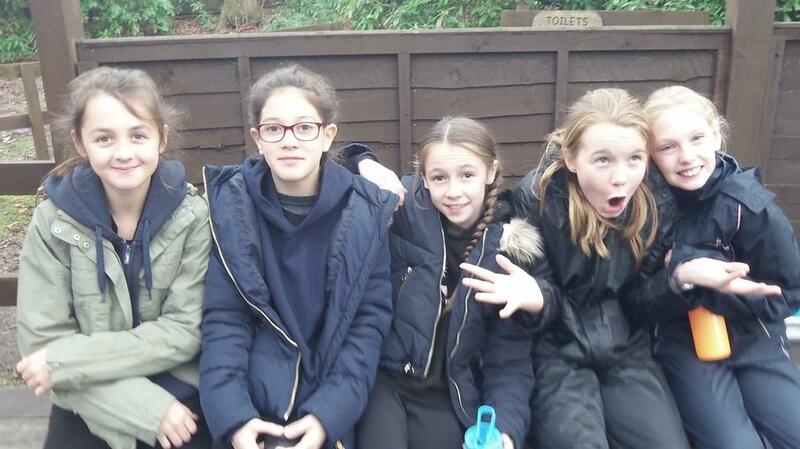 Mia: As the day got colder, the encouragement from my team mates was really helpful especially when we were at the zip line helping each other to get down. Ted: I used to be really scared of heights but now I’m not really scared anymore because of my experiences here. Now I quite enjoy high challenges especially the climbing wall where I got to the red line. Kate: I enjoyed all the activities even though they were nerve-wracking and adrenaline-pumping, I achieved the majority of my goals. Aleesha, When I first saw the vertical challenge, I felt nervous. But with the help and encouragement of my friends and the instructors I was able achieve my target. Kiyan: The instructors encouraged me to go beyond my own targets on the vertical challenge which resulted me in feeling proud of myself. Cherri: When I first arrived at Hilltop, I wasn’t too sure of meeting all the challenges and tasks that the instructors set. But as I worked through them I felt more confident because of the support from my friends and the instructors. Max: I feel confident to climb now and I used to be afraid of heights. I still am a bit but not nearly as much. Emily P: During my time at Hilltop, I have faced my fear of heights due to the encouragement of my friends. Georigie: If you are scared of heights or anything really, the instructors will push you to achieve your goals in a positive way. If you get half-way and are stuck they’ll keep giving you tips to accomplish your goals but they won’t force you to do it. Casey: I liked how the instructors encouraged us to reach our goals. I am particularly proud of getting to the top of the vertical challenge. Calum: When I first arrived at Hilltop I was quite scared of heights but when I jumped off the trapeze I wasn’t too scared and when did the high cat walk I didn’t feel scared at all. Ellis: With the support of everyone around me, I have accomplished more than I thought I could. It has made me feel proud. Sunny: On the vertical challenge, I was too confident at first but with the help of the instructors and my team mates I was able to get to the top. 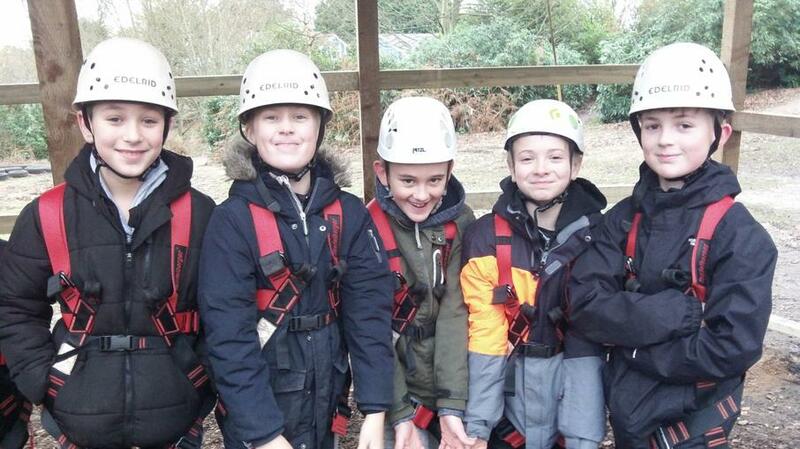 Alfie: At first I wasn’t very good at any of the climbing tasks but with the encouragement of my friends and instructors I improved and was able to reach the top of the climbing wall, vertical challenge and the high ropes. Christopher: On the vertical challenge, when I stepped on it I was scared out of my skin. However, when I got to the top, I was still a bit scared but I also felt relieved and confident in myself. This helped me with the high ropes, too. Oliver: It was on the high ropes that I was really scared. When I was on the wobbly log, I was shaking at first but as I crossed it I realised it wasn’t as scary as I thought to begin with. 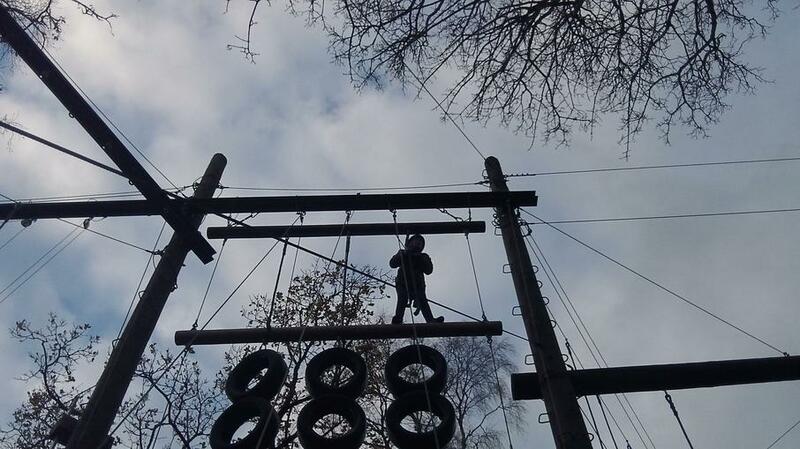 Lucas: My favourite today was the high ropes because it was the hardest and I got all the way to the top. I did the trapeze and the high wire. 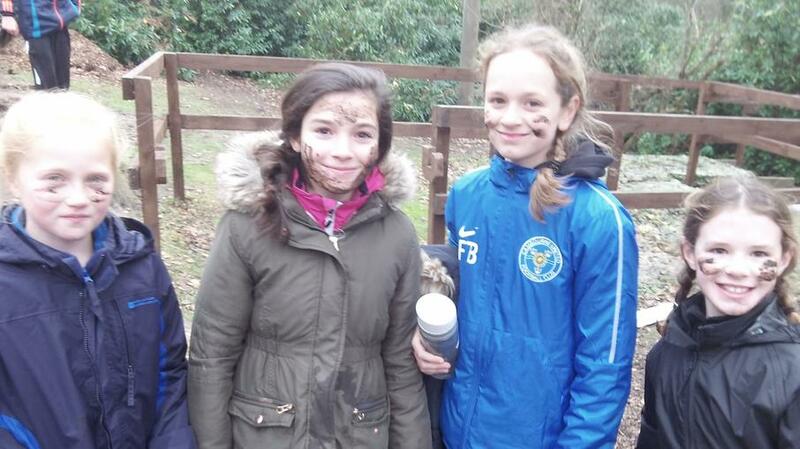 Ryan: I loved the assault course today. In one bit we had to go over the crocodile pit that had thin boards. The boards got thinner as you moved across and that was hard. I enjoyed sticking my face in a puddle.